Isa and May by Margaret Forster. Amazon: The curiously named Isamay, a would-be academic, is trying to write a coherent thesis about grandmothers in history – from Sarah Bernhardt and George Sand to the matriarchal Queen Victoria and other influential grannies – while constantly ambushed by the secrets her own family has been keeping. An only child, she is named after her grandmothers, Isa and May, who were there at her birth and who have formed and influenced her in very different ways. Jealous of each other, they both want to be first in their granddaughter’s affections. … this is an unusual story about grandmothers and their potentially powerful role in family life, about nature vs nurture, bloodlines and bridges across generations. The Pattern in the Carpet by Margaret Drabble. 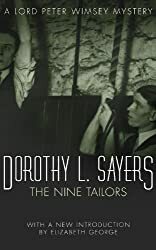 Amazon: This is a beautifully written and deeply personal book on the jigsaw puzzle and the part it plays in the puzzle of its distinguished author’s life. It is a mix of memoir, jigsaw history and the strange delights of puzzling. … In “The Pattern in the Carpet”, she describes the history of this uniquely British form of meditation, from its earliest incarnation as a dissected map, used as a teaching tool in the late eighteenth century, to the other cut-outs and mosaics that have amused children and adults from Roman times until today. … an original and moving personal history about ageing and the authenticity of memory; about the importance of childhood play; and, how we rearrange objects into new patterns to make sense of our past and ornament our present. The Good Man Jesus and the Scoundrel Christ Myths by Phillip Pullman. Amazon: In this ingenious and spell-binding retelling of the life of Jesus, Philip Pullman revisits the most influential story ever told. Charged with mystery, compassion and enormous power, The Good Man Jesus and the Scoundrel Christ throws fresh light on who Jesus was and asks the reader questions that will continue to resonate long after the final page is turned. For, above all, this book is about how stories become stories. Friday Finds is hosted by MizB at You Should Be Reading. For a change this post is not about books. I like to do cross-stitching, but one of its disadvantages is that I cannot read and stitch at the same time. Other difficulties are that I cannot do it in the summer as my hands get too hot and at other times of the year I find the light is not good enough so I have to use a daylight lamp, which I don’t find very easy. Anyway, now that I’ve just finished reading The Testament of Gideon Mack, which I’ll write about soon, I feel it’s time to get stitching again after many months of inactivity. I have quite a lot of different ones on the go, some I’ve been doing for years. 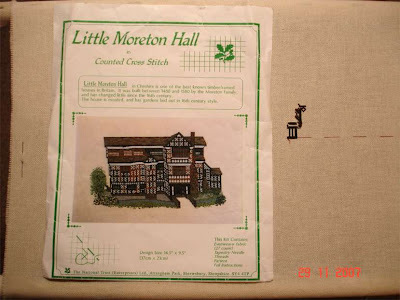 One of them is a kit to stitch Little Moreton Hall. The photograph above shows the minimal amount I’ve done. It’s quite hard as it is such a fine canvas and small stitches – I’m no expert. 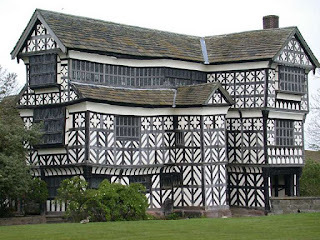 The Hall, a National Trust property in Cheshire is a beautiful timber framed Tudor building as shown in the photographs below. 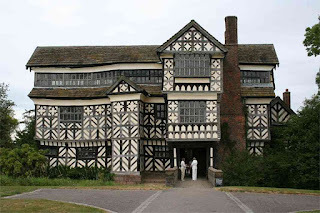 Little Moreton Hall is one of the most impressive buildings I know, with its wonderful decorative timber framing and patterned glazed windows. It is marvellous to be able to visit such an historic building and many rooms are open for the public to look at and walk through. It looks top-heavy with its projecting upper storeys. The earliest part of the building dates from the 1440s and 1450s when the Great Hall and the East Wing were built. A third storey was added in 1560-70 during the reign of Elizabeth I, containing the Long Gallery, 68 feet long with a massive arched roof. Cross beams were inserted into the roof trusses in the late seventeenth century to stop the walls from coming apart. The walls are crooked and the floor is uneven, so you experience a truly precarious feeling walking along the gallery. When I visited it quite a few years ago the Long Gallery was not furnished, much as it would have been when it was first built, because the Elizabethans used the room for walking, daily exercise and games. It was very easy to imagine what it must have been like. I bought the Guide Book, the Cross Stitch Kit and a small bay tree in a pot for the garden as souvenirs. I like to buy Cross Stitch Kits of National Trust houses and properties wherever I can find them. I now have a few including a view of St Michael’s Mount near Penzance in Cornwall, and an ornamental gate in the garden of Townend, a 17th century solid stone and slate farmhouse near Windermere in Cumbria. I also like to buy bookmarks to stitch. They are much quicker to finish and have a practical use. 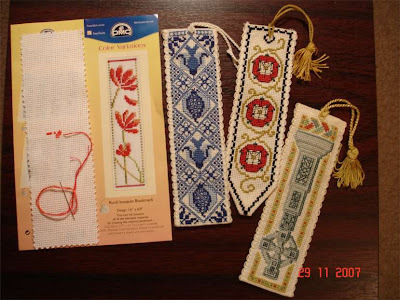 I’ve decided to start the bookmark shown on the left in the photograph below even though I have several other kits I’ve started and not finished. E also gave her Grandad this bookmark she made, illustrating the story of Noah’s Ark. It is the winning design in the Church Membership Bookmark 2007 Competition.